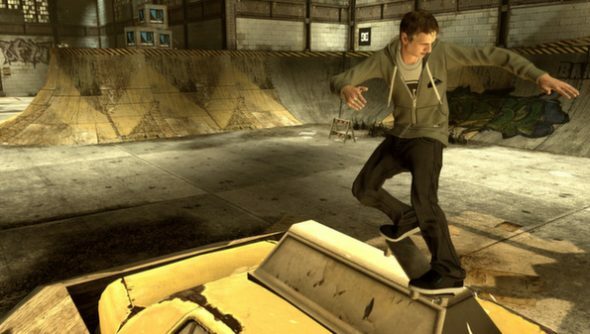 I know it’s an easy mistake to make, because of his nonchalant style and baggy clothes, but pro-skateboarder Tony Hawk is not an engineer or a coder, so please stop asking him to remaster his old games. Stop bothering Tony Hawk and read about why videogame remasters should be more like Director’s Cuts. Tony “The Birdman” Hawk is a skateboarding superstar and household name. He was also the face of the Tony Hawk videogame franchise, a series which spawned a whopping 15 games – though they weren’t all winners. The Tony Hawk series was published by Activision until 2015, when the licensing deal between the two expired, leaving Activision with the licence but no Tony Hawk to endorse the games. Now that Hawk no longer works with Activison, he’s had quite enough of people asking him to remaster Tony Hawk Pro Skater or fix the game’s servers – something he made very clear on Twitter. Though Hawk may not be pleased about being tortured by confused fans, his tweet does suggest he would like to work on the games once again -something we may see in the future, though not with Activision. Hawk told Jenkem last year he is “potentially working on something” but it was too early at the time for him to speak about it. Nothing has emerged about his new game since but we may learn more in the upcoming documentary, titled Pretending I’m a Superman: The Tony Hawk Video Game Story, which is due for release in 2019.